Britain's relationship to Sudan was connected very much alongsides its relationship towards Egypt. Egypt had long been concerned at the relative lawlessness to its south and was equally concerned at the status of the source of the Nile River upon which it relied so heavily. Muhammad Ali had sent his own sons in search of the source of the White Nile in the 1820s. The British were also keen on discovering the source of the Nile but the harsh landscape, myriad navigational difficulties and hostile peoples along its course made for a challenging task. Undaunted, Samuel Baker and his partner Florence Finnian set off in 1861 on a four year expedition to discover the source of the White Nile and undertook great privations and difficulties. Fortuitously, they met up with Speke and Grant in Gondokoro in southern Sudan en route in 1863. These hinted that a great lake might be the possible source. As a result Baker and his partner set off for what they would call Lake Albert in Uganda. It was not the source of the Nile but it was an impressive discovery nonetheless. Even before Britain's formal connection to Egypt was established by force in 1882, the modernising Egypt had hired a string of British administrators, explorers and generals to try and pacify the Sudan and bring order to this lawless and immense Southern frontier of hers. One advantage of hiring British personnel was that the Egyptians believed that British influence into the interior of East Africa via its position in Zanzibar might be mollified when dealing directly with British subjects even if they were in the employ of the Egyptian government. To this end, Sir Samuel Baker was invited back in 1869 to act as governor-general of the equatorial Nile basin. He was given the rank of pasha and of a major-general in the Ottoman army. It was the most senior post a European had ever received under the Egyptian government. He set off for Gondokoro once more but due to difficulties in travelling and transportation did not arrive until 1871.. His duties included annexing the equatorial Nile basin, establishing Egyptian authority over the region south of Gondokoro, suppressing the slave trade, introducing cotton cultivation, organizing a network of trading stations throughout the annexed territories, and opening the great lakes near the equator to navigation. To carry out the mission, the khedive provided Baker with a flotilla of ten steamers and fifty-five sailing ships, and about 1700 officers and men. His attempts at establishing Egyptian control foundered almost immediately as resentful tribes and Arabs alike resisted these Egyptians claims. He could take credit for establishing control in Gondokoro (which he renamed Ismailia) and Fatick but achieved little outside of the range of the guns from his forts. Consequently, Baker was replaced by 'Chinese' Gordon whose reputation as a soldier was well known. Gordon made strenuous efforts towards crushing the slave trade to which he held strong religious reasons for wishing to stamp out. However, much of his success on the ground was undermined by the inaction of the Egyptian authorities back in Khartoum. 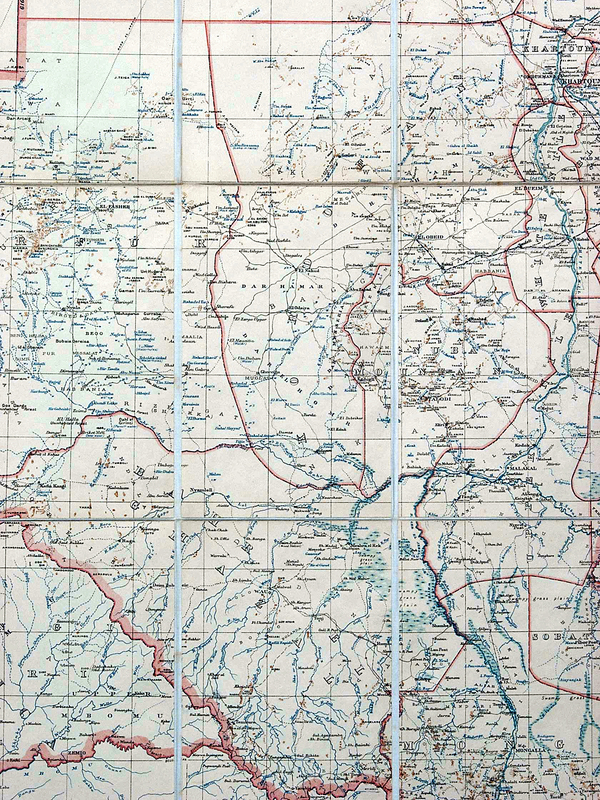 Under Gordon the Upper Nile region as far as the borders of Uganda came effectively under Egyptian control, though the power of the government extended on the east little beyond the banks of the rivers. Though spasmodic efforts were made to promote agriculture and open up communications the Sudan continued to be a constant drain on the Egyptian exchequer. The khedive Ismail revived Said's project of a railway, and a survey for a line from Wadi Halfa to Khartoum was made in 1871 but this project was never fulfilled due to increased budgetary problems back in Egypt. In 1877, Gordon was promoted and given the governorship of the whole of the Egyptian territories outside Egypt; namely, the general Sudan provinces proper, the Equatorial Provinces, Darfur, and the Red Sea and Somali coasts. He instituted extensive reforms intended to eliminate vicious corruption and to stamp out slavery. He successfully subdued slave traders in Darfur and relased over 10,000 slaves. However, he did not feel that he had the full confidence of the Egyptian authorities who had not even outlawed slave trading. In 1879, he resigned and left the Sudan. When Gordon left the Sudan he was succeeded at Khartoum by Raouf Pasha and the worst excesses of Egyptian corruption seemed to return with him. Many of the other Europeans who had served under Gordon resigned. However, it was the political upheaval back in Egypt which pulled the full rug from under the administration of the Sudan. The Arabi Pasha revolt in Egypt and the arrival of the British had meant that many Egyptian troops and administrators were withdrawn from Sudan. Into this vacuum came the Mahdi with wide appeal to the largely Muslim population of Sudan. The Mahdist movement, which was utterly to overthrow Egyptian rule in the Sudan. The first armed conflict between Egyptian troops and the Mahdi's followers had occurred in August 1881. However, the Mahdi suffered his most glorious victory with the annihilation of an army of over 10,000 men commanded by Hicks Pasha (Colonel William Hicks formerly of the Bombay army). 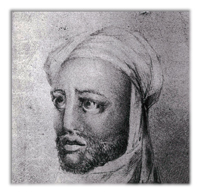 This made the Mahdi the undisputed master of Kordofan and Sennar. The next month, December 1883, saw the surrender of Slatin in Darfur, whilst in February 1884 Osman Digna, his amir in the Red Sea regions, inflicted a crushing defeat on some 4,000 Egyptians at El Teb near Suakin. On learning of the disaster to Hicks Pasha's army, the British government (Great Britain having been since 1882 in military occupation of Egypt) insisted that the Egyptian government should evacuate such parts of the Sudan as they still held, and General Gordon was despatched to Khartoum to arrange the withdrawal of the Egyptian civil and military population. He was created governor-general of the Sudan and reached Khartoum on the 18th of February 1884. Gordon made peaceful overtures to the Mahdi, and evacuated some 2000 Egyptian civilians and 600 soldiers before the town was encircled by the Mahdists on 18 March. He found the Treasury almost exhausted and the pay of officials and troops three months in arrears. When money was not forthcoming from Egypt, Gordon issued his own currency signed personally by himself. His own religious conviction made it difficult for him to abandon those he had been charged to rescue. 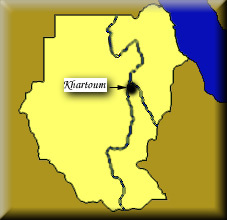 Consequently, he endeavoured to defend Khartoum rather than abandon its population to the unlikely mercies of the Mahdi. After months of delay by the Liberal government of Gladstone, a relief expedition was belatedly sent up the Nile under the command of Lord Wolseley. It arrived just days after Khartoum had been sacked. by the Mahdi and Gordon killed. The failure of this relief column led to the withdrawal of the British expedition with Dongola being evacuated in June 1885. In the same month Kassala capitulated, but just as the Mahdi had practically completed the destruction of the Egyptian power he himself died, in this same month of June 1885. He was at once succeeded by the khalifa Abdullah, whose rule continued until the 2nd of September 1898, when his army was completely overthrown by an Anglo-Egyptian force under Sir H Kitchener. The Mahdi had liberated the Sudanese from the extortions of the Egyptians, but the people soon found that the Mahdi's rule was every bit as oppressive as that of their former masters, and after the Mahdi's death the situation of the peasantry in particular grew rapidly worse in the chaotic situation. Abdullah set himself steadily to crush all opposition to his own power and his rule was little more than military despotism which brought the country to a state of almost complete agricultural and commercial ruin. He was also almost constantly in conflict. He attempted to invade Egypt itself but was defeated at Toski. Emin Pasha evacuated Wadelai in April 1889. The greater part of the region and also most of the Bahr-el-Ghazal relapsed into a state of complete anarchy. Omdurman became the capital as Khartoum became something of a ghost town. This was partly because Abdullah was suspicious of the relatively cosmopolitan urbanites and felt stronger with the tribal leaders who gave him his military capacity. This Sudanese division would be a recurring issue in the years of British rule also. A significant number of European and Egyptian prisoners were kept in appalling conditions as prisoners in Omdurman with a view to being used as hostages if the opportunity arose. As the British situation in Egypt strengthened and as its finances improved, the British authorities began to consider pacifying this lawless frontier once and for all. In 1896, General Sir Herbert Kitchener was given an Anglo-Egyptian army of 15,000 men to smash the Dervish forces of Abdullah. He left nothing to chance. First he secured communications on the Nile with a flotilla of steamers and gunboats; then he went on to build a railway across the waterless Nubian desert and then march towards the Dervish strongholds to the South. Victory over Dervish forces at Atbara on April 8, 1898, opened the road to Omdurman. But the army had first to make an exhausting, 200-mile march. The imbalance in technology and training saw the British utterly crush the Dervish forces. However, the fanaticism with which the Mahdi had inspired his followers remained almost unbroken to the end. Abdullah, after the battle of Omdurman fled to Kordofan where he was killed in battle only in November 1899. In January 1900 Osman Digna, a wandering fugitive for months, was captured. In 1902 the last surviving dervish amir of importance surrendered to the sultan of Darfur. Mahdism as a vital force in the old Egyptian Sudan ceased once and for all. Despite the crushing victory in the Sudan, a new diplomatic issue arose quite unexpectedly. Unbeknownst to Kitchener, a small French force under Captain Jean-Baptiste Marchand had been marching from West Africa to East Africa with a view to staking a claim on a French controlled route from coast to coast. He was discovered by the British at the Sudanese location of Fashoda. Massively outnumbered, there were limited options for the small French force. Kitchener did not over-react however and mindful of the dangers of precipitating a diplomatic incident possibly leading to war decided to use his freshly laid telegraph lines to communicate for further instructions from Europe. Britain and France were initially hostile and belligerent in tone, but the French soon backed down in the face of weakness on the ground and division at home caused by the Dreyfus Affair which was in the process of undermining confidence in the French military at the time. War had been averted and in a strange way, the event paved the way for friendlier relations between the two countries which would lead to an Entente within just a few years ending many years of bitter imperial rivalry and hostility. Technically Sudan was to be controlled by an Anglo-Egyptian Condominium (declared in 1899) in which sovereignty was jointly shared by the khedive of Egypt and the British crown. The absolute victory of the British forces together with improved communications allowed for a stable political and economic system to be put in place. This war largely thanks to the creation of an administrative system that, even by the demanding standards set by the Indian Civil Service, was remarkable for its high-mindedness, idealism and effectiveness. Although it also mirrored the attitudes and prejudices of the English upper middle classes. The Sudan Political Service, as a result of the country's peculiar political situation, did not fall under the umbrella of the Colonial Office and was run as a separate service. But the background, abilities and conduct of the men who were recruited provide a vivid illustration of what the British regarded as ideal in those selected to rule the colonial Empire. High academic qualifications were not required and there was no competitive examination. As Lord Cromer, the virtual ruler of Egypt, put it candidates needed no more than "good health, high character and fair abilities." It was taken for granted that applicants possessing these qualifications would have the right sodal background. One successful candidate in 1911 attributed his selection to his performance in the Oxford and Cambridge Boat Race. Candidates were also expected to be ethnically respectable, and on occasions this consideration was made explicit. A memo from Lord Cromer about an advertised post said: "I have erased the words 'British Subjects,' not that there is any intention of engaging others, but there is no necessity to say so in official documents." But even being British was not enough. Sir Francis Reginald Wingate, ruler of the Sudan from 1899 to 1916, wrote of one candidate: "There is something Levantine about him ... that fact alone makes him undesirable." Yet, the system worked. Sport-loving young officers, academically unqualified, with minimal Arabic, found themselves in charge of a subdistrict the size of Wales and succeeded in making themselves trusted and respected by its people. Pacification of the various tribes was a precursor to the law and order required to improve the economy. Revenues increased tenfold between the years of 1900 and 1913 as efficient British administration slowly expanded. New cotton-fields were planted, railways were built, and the slave trade was reduced to a small scale. After a tour of inspection in 1909, Sir Eldon Gorst, Cromer's successor in Egypt, declared complacently: "I do not suppose that there is any part of the world in which the mass of the population have fewer unsatisfied wants." 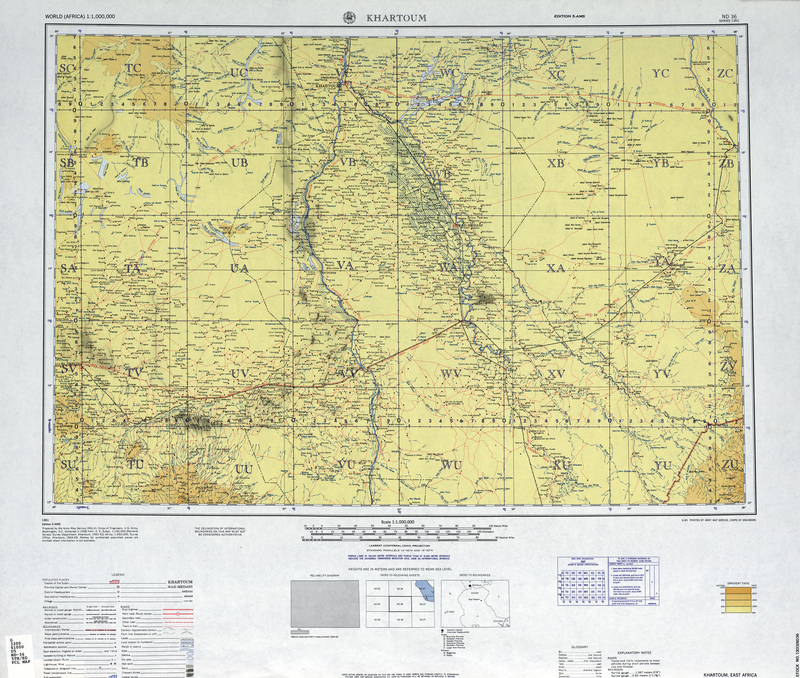 Sudan was largely isolated from the outbreak of the Great War due largely to its location and isolation. Indeed, the Turkish Caliph's call to 'Jehad' was almost entirely ignored except in Darfur by the self styled Sultan. This led to Anglo-Egyptian forces invading Darfur from Sudan in 1916. Ali Dinar was killed and Darfur was fully annexed to Sudan. At the end of 1916, Sir Francis Reginald Wingate, partially in recognition of his success in Sudan, was moved to the strategically important job of High Commissioner of Egypt. His post in Sudan was filled by Sir Lee Stack from 1917. Sir Lee Stack sought to balance the competing claims of the rural sheikhs with the more cosmopolitan urban Arabs who lived along the mighty Nile. This was referred to as the 'dual policy' and sought to delegate power down to local leaders in a form of indirect rule which helped allow such a small Sudan Political Service rule such vast areas. It was also hoped that devolving power to Sudanese would help counter Egyptian claims to fellow Muslims especially in the wake of increased Egyptian Nationalism. Indeed, Sudan's relationship to Britain was increasingly seen very much through the prism of Anglo-Egyptian relations. When Egypt was granted independence in 1922 it was done with several qualifications one of which was the status of Sudan. Throughout the 1920s and 1930s, the Egyptians attempted to renegotiate these terms of independence but they invariably failed over arguments about the status of Sudan which Egypt regarded as being of prime importance to its own security. The importance of Sudan to Egyptian political discourse was tragically illustrated in 1924 when the Governor General of the Sudan Sir Lee Stack was assassinated by Egyptian nationalists whilst in Cairo. It is perhaps ironic that Sir Lee Stack was attempting to insulate Sudan from Egyptian Nationalists only for him to become a direct victim himself. The British reacted harshly towards Egypt demanding an apology, the payment of a large fine and the removal of all Egyptian forces from the Sudan. This actually precipitated a mutiny when one Sudanese battalion based in Khartoum expressed support for the Egyptians. It was ostensibly led by the White Flag League which was formed in 1923 with the express ambition of driving the British from the Sudan. The mutiny was quickly contained and the battalion was dissolved. British paternal attitudes towards the Sudan and anger towards Egyptian Nationalism meant that they felt very protective towards Sudan and refused to hand over its control to Egypt despite the requests of the Egyptian king. King Fuad finally relaxed his attitude on the matter after the Italian invasion of Abyssinia in 1935, together with indiscriminate bombing and chemical warfare. Suddenly, Egypt felt less sure of its own security and certainly would have difficulty defending against a rapacious Italian Fascist state. This allowed the Egyptian King Fuad to come to a new settlement in 1936 which specifically left Sudan firmly in the British sphere once more. During the Second World War, Sudan found itself on the front line with a mere three battalions to guard an enormous frontier from the Fascist Italians in neighbouring Abyssinia. The Italians only formally joined the war on the 10th of June 1940. This took the British forces in Sudan by surprise as Italian forces launched a small invasion towards Kassala. After a small but fierce battle they captured Kassala on the 4th July but had little fuel for further offensive capabilities. A similar incursion towards Gallabat made the British nervous about the security of Khartoum and the defence of Sudan as a whole. 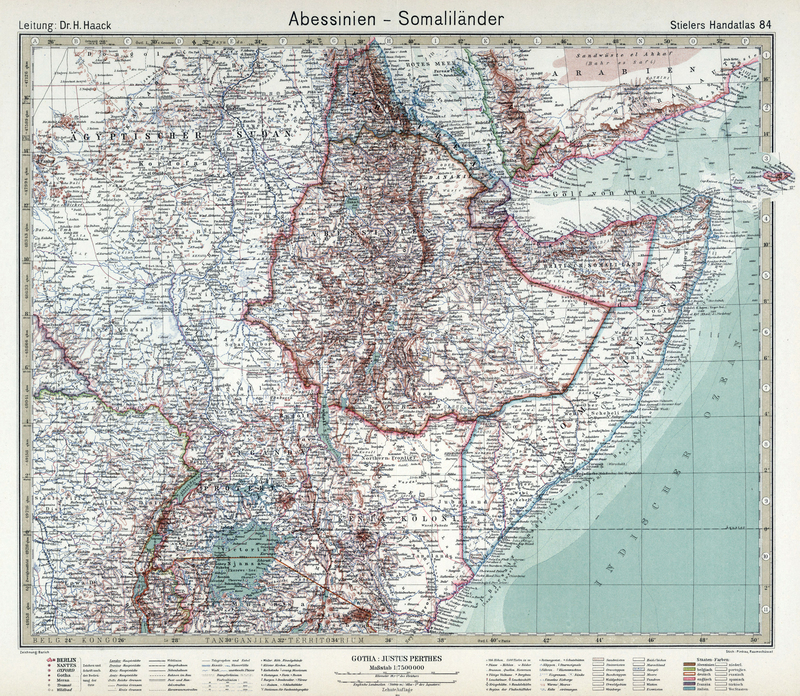 The Italian capture of British Somaliland in August further underlined the potential difficulties. Troops and planes were moved to Sudan as well as to Kenya. The Italians responded by withdrawing from their incursions into Sudan and taking up defensive postures which with fewer and fewer supplies getting through the Royal Navy's blockade was all that it really could undertake. The British launched attacks on the Italian colonies from the railhead at Kassala into Eritrea before heading down to Addis Ababa. Combined with attacks from Kenya, the isolated Italian forces were steadily pushed back and ultimately defeated. This secured Egypt's southern border at a crucial time in the battle of North Africa. Post war, Sudan's position was once again complicated with Egyptian aspirations. Egyptian Nationalist sentiment still resented British military and political presence in the Suez Canal Zone and the Sudan. The overthrow of King Farouk in Egypt in 1952 saw the Egyptian military come to the fore. Despite their strong Anti-British sentiments (and subsequent difficulties over the Suez Canal), the military leadership presented a window of opportunity to negotiate a settlement involving Sudan. The generals were willing to concede the principle of self-determination for the people of Sudan. They believed that the majority of Sudanese would prefer union to their co-religionists rather than rule by the British. Elections were held in 1953 and at first these seemed to confirm the Egyptian general's hopes when pro-Egyptian nationalists swept to victory. However, once they had come to power, they reevaluated their position and requested that both British and Egyptian forces evacuate the Sudan as they sought total independence for themselves. On January 1, 1956, Sudan became an independent nation and the Anglo-Egyptian Condominium, came formally to an end. 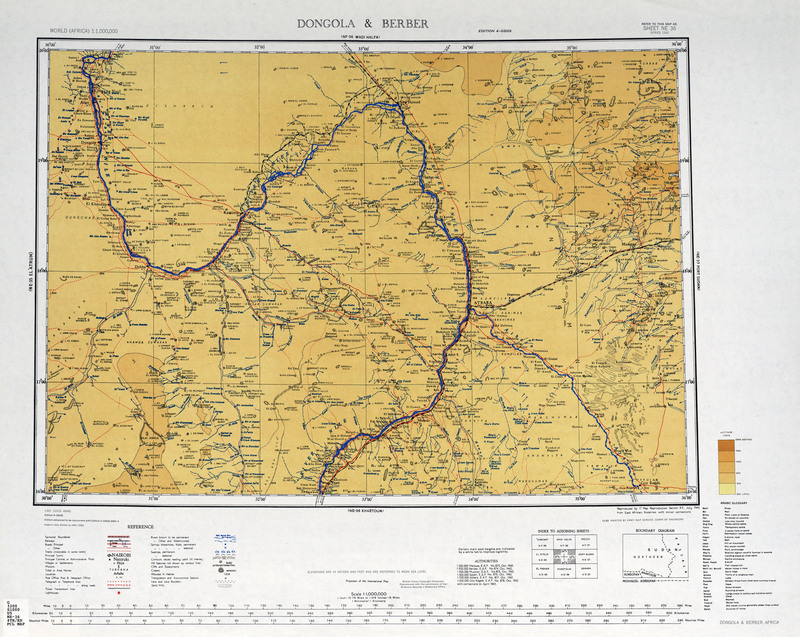 The British in the Sudan: 1898-1956. The Sweetness and the Sorrow.